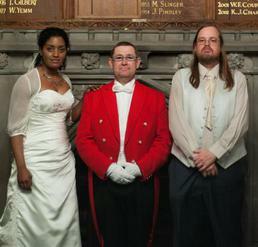 There are many functions at which the services of a professional toastmaster can add enormous value and prestige. We wanted to say a huge thanks to you, for making us feel so special on our Wedding day. We couldn’t have asked for anything more, it was just perfect. We want to say a huge thank you for your services on the day. Everything ran perfectly and we feel this was largely down to you. We have received many comments from our guests saying how impressed they were with you.